Are you seeking the perfect place to renew, restore, rejuvenate and revitalize? To find yourself again and reclaim a renewed purpose for life? celebrate a significant life passage? Couples, are you wanting to reboot your passion and restore the LOVE? To work through the barriers to a place of true caring and connectedness again? can provide you with the perfect formula to reclaim your JOY and restore your Radiant Health! Life is meant to be a fulfilling experience! Are you living it to the fullest? Awaken to who you truly are. Release all that you are not. Actualize your greater potential. Restore and replenish your Life Force. Renew your passion for life. Find deep fulfillment in the precious moments of life. Anchor Heaven on Earth in your own life experience. When you Heal Your Life, you Change Your Destiny and are more able to fulfill a Higher Purpose than what your human programs would dictate. That is when life becomes a Grand Adventure in time and space… as you ascend into ever greater aspects of your True Self. This beautiful Temple Sanctuary is available for individuals, couples or small groups (4 or 5), for an unparalleled Soul Advancing Program uniquely designed for each person that can include a full assessment, personalized Optimum Health and Lifestyle Program with Advanced Healing Protocols, deeply transformational healings from a vast array of cutting edge modalities, a personal Divine Healing Transmission, exciting Sacred Site Red Rock Vortex tour daily and more!!! See Dr. Aurora Juliana Ariel PhD's Healing Menu of possibilities. Is this Sacred Healing experience calling to you? 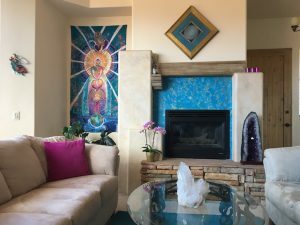 If interested, contact us right away so we can begin designing your perfect Healing Retreat!